Outdoor pool 100x33 yards. One million gallons of unheated water. Iconic outdoor cubicle doors, fountain and café added in the 1930s, with Art Deco style entrance. Sports hall Pavilion added in 2016. Opened on 28 July 1906, it was the earliest purpose-built open air baths in London, as well as being unusually large (300ft x 100ft). In the 1890s the London County Council had adapted and concreted existing ponds to provide hygienic bathing lakes, but most of these were subsequently replaced by purpose-built baths, known as lidos from the 1930s. 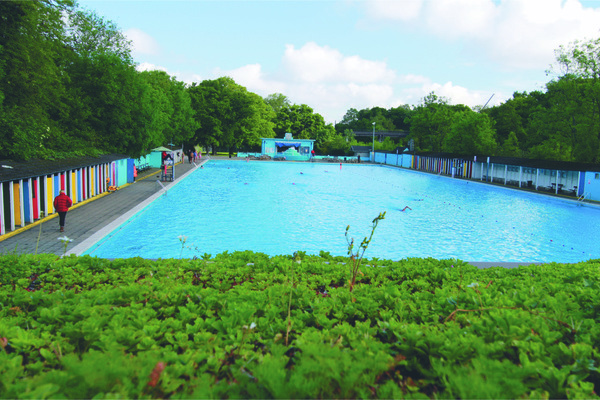 Sited near the LCC's Totterdown Fields Estate (being occupied from 1903) and other contemporary housing, the driving force for the lido came from Wandsworth Metropolitan Borough when the LCC was reluctant to authorise the expenditure. 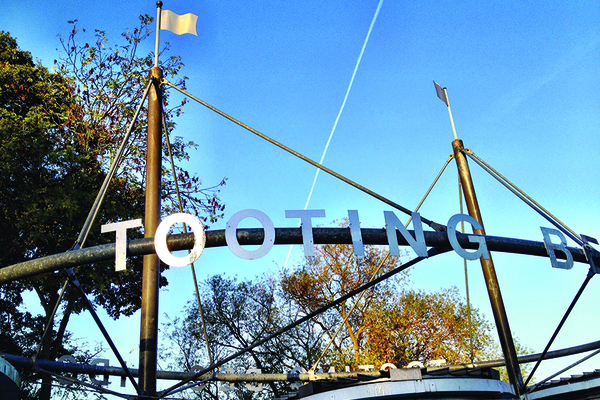 A compromise was reached: Wandsworth MB would build the pool but the LCC (as owners of Tooting Bec Common) would provide the site and undertake maintenance (estimated at £200 per year). Labour, mostly unskilled, came from the Central (Unemployed) Body for London who seem to have paid the costs of £4,300 (based initially on 250 men at 7d per hour for ten weeks) – and the Board believed the labourers were "improved in physique, capacity and zeal". Wandsworth paid £3,400 for the building materials, plans and site supervision, and the design was provided by H J Marten, District Surveyor for Wandsworth Eastern District, and supervision completed by Mr Dodd, the Western District Surveyor. The bottom and sides were concreted with Portland cement, plugged with bituminous sheeting. The surrounds were flagged with stone and a 'dressing shed' of corrugated iron was erected along the eastern side. Excavated soil was formed into an embankment (planted with trees in 1906) to shield the pond from the common. Like the surrounding area, the pool was altered in the 1930s. In 1931 the dressing sheds were adapted as individual cubicles and new changing rooms, with individual doors and seats, and lavatories and a new filtration house were built. New cubicles and showers replaced the old dressing sheds in 1936, a café was built, and the lavatories remodelled, all these designs being from the LCC Parks Department. 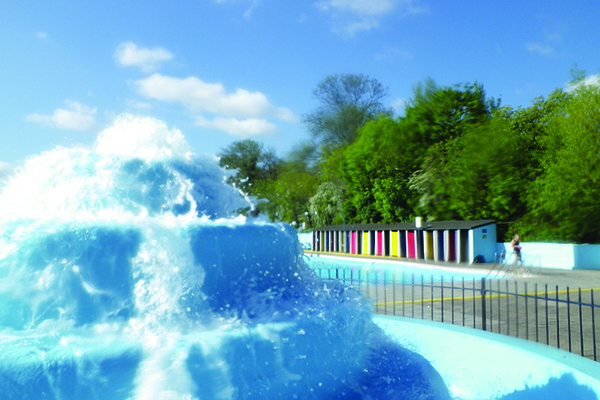 In 1999, the children’s paddling pool behind the café was built and, in 2002, an Art Deco-style entrance and changing rooms (designed by WM Architects of London) was added. During winter 2006-2007 an extensive refurbishment scheme included re-lining the pool tank and a face-lift to the pool surrounds and changing cubicles. The Pavilion, designed by David Gibson Architects and built by Wandsworth Operational Services, occupies the site of the original 1906 entrance. 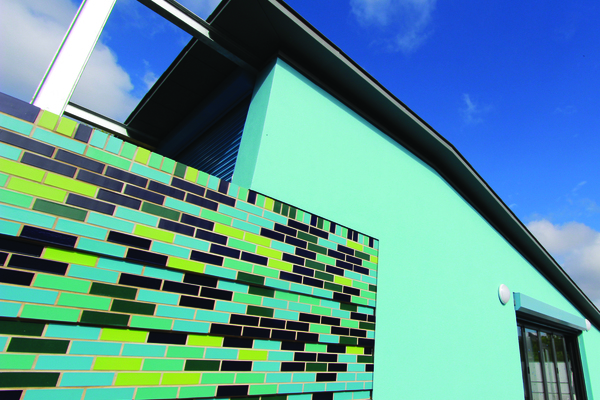 The building, at the south west corner of the Lido site, has a hall of just over 100 square metres for sports and social events, along with an annexe with facilities for Lido staff, changing rooms and toilets. 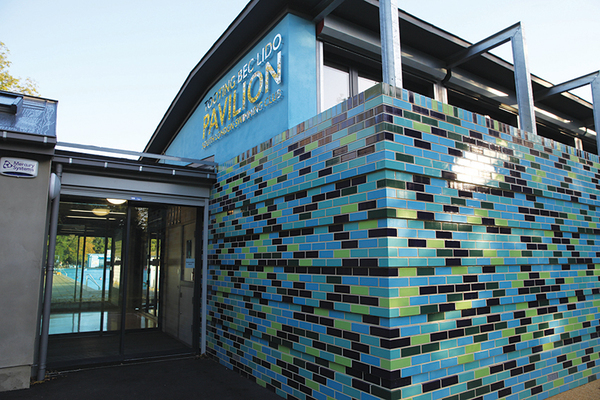 The view of the Pavilion from the pool complements the Lido’s ambience, with blue walls, sail-like sunshades and a living green roof that blends with the natural surroundings.